as well as the U.S. bases and Okinawa’s economy, etc. 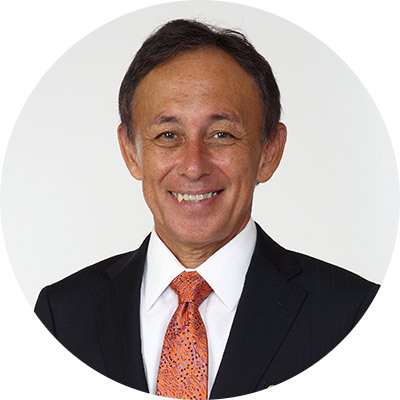 I am Denny Tamaki, Governor of Okinawa Prefecture. Representing the people of Okinawa, I have been doing everything I can as governor to find solutions to problems that Okinawa faces in a variety of areas. Okinawa Prefecture was the site of the only ground battle in Japan during World War II. More than 200,000 people, including about 94,000 Okinawans, lost their lives during the fighting. After the war when most of the population on Okinawa was confined to internment camps, the U.S. Military forcibly seized land and built many military bases. Later, in 1951, Japan signed the San Francisco Peace Treaty and reclaimed their sovereignty. However, Okinawa remained under the U.S. military control for 27 years until its reversion to Japan in 1972. The Okinawa Prefectural Government Washington D.C. Office plays a key role in supporting the Governor’s visits to the United States, gathering information pertinent to base issues, and disseminating information about the situation in Okinawa. The Washington D.C. Office is committed to accurately conveying the Governor’s attitude and ideas and Okinawa’s situation to the United States, realizing the Governor’s pledges, and working to resolve the issues related to Okinawa.